""I have 3 children there and I wanted to say that the girls at Reception have seen me through a first year here. Always helpful and kind. Thanks girls." "
""What a big day for my son and I! Every single person we encountered today from the crossing guards to front gate guards, admin, reception, nurse, teacher...and all in between were super super..." "
""10 Things We Love About RIS 1. Class Teachers - always ready to greet with a smile, adding their own personal touch; professional and caring. 2. Drop Off Zone - Hooray! No parking! Thanks driveway attendants. 3. Parent Activity Afternoons - a great way to gain a glimpse of school life for our children. 4. Meet and Greet - great to have staff strategically placed during morning and afternoons, love the personal approach. 5. Homework - not too much, a good balance. 6. Procedures - RIS is well organised; it is noticeable during assemblies, sports days and lining up etc. 7. Support Staff - always happy to help and lots of them. 8. Fees - lower than some, could be worse! 9. Male Teachers - good role models for children, some schools don't have many. 10. Management - Ms. Keating and all other execs, fantastic work, you all deserve a well-earned break. Thanks for each and every one of you. Your hard work and patience is much appreciated!" "
""Family and friendly environment. I love this school and so does my son! Keep it up." "
""Really amazing and great school as I’ve ever seen in my life. I’d like to thank all the teams in Regent International School for their great job." "
""Teachers and staff are approachable and helpful at all times. The Parent Liaison Officer is fantastic." "
""The SLT, Teachers, Front Desk at Regent have all, always been so open and approachable, think this makes for a unique and so beneficial experience for both students and parents." "
""Rayan has been with the school since FS2 and we have had a wonderful time. Everything about the school is amazing." "
""It was a cherishable experience and it was nice to be a part of the school." "
""Thank you so much for the bedtime story event - it was such a lovely idea and we all had a great time. The teachers did an awesome job of reading stories and the kids loved being in school in their pyjamas and enjoying the milk and cookies." "
""We are the parents of Dhvani Jigar Shah from Year 2F and wanted to drop a quick feedback about her class teacher. Since the start, she has been a part of RIS and we as parents were really concerned about her during 1F and were on the verge of getting her school changed because she was not given the right support / direction to move ahead. However we thought we shall see for the first term in year 2F and make a decision and I'm very pleased to let you know what a gem you have in Mr. Flynn who is very hands on, understands his students, gives undivided attention as and when required, motivates and challenges the kids to get the best out of them. We are extremely happy with Mr. Flynn and thought it would be apt to let the management know of the fine work he is doing. He is one of the best teachers we have come across and he is surely an asset to RIS. Thanks" "
""Enjoyed every minute of the FRIS Movie Night with my son. Fabulous idea and look forward to the next Movie Night. Thank you FRIS" "
""Love the good manners taught at RIS. I pride myself on my children's manners" "
""Regent International School , a global village." "
""The kids are having a fabulous time and learning lots." "
""It was a magical evening under the stars at the FRIS Movie Night. Thanks to FRIS and all the volunteers." "
""We loved everything about the school." "
""RIS is very welcoming and we settled in very quickly. The VLE (Virtual Learning Environment app) is great." "
"“What an amazing collaboration between 5C and FS2H, shows once again how lucky we are to have such amazing teachers! Thank you Mr. & Mrs Williams and thank you Regent for letting this happen. This is true "child initiated learning". " ""It was a cherishable experience and was nice to be a part of the school." "
""It's the best in academics. Thanks for the great job." "
""Primary: Caring and loving teachers." "
""Great performance! Thanks to the amazing teachers and TAs. (Parent’s compliment RIS' school performance)." "
""Amazing day. Thank you all (students, groundsmen, TAs, administration, teachers, SLT and all FRIS members) for your support and efforts to make this day as special as it was. (Parent complimenting the school staff on the success of and group effort for "International Day")." "
""A proud and emotional moment for all us parents. Well done teachers and students. (Parent commenting on Foundation Stage 1 End of Year Achievement Assembly)." "
""A huge thank you to everyone who worked so hard to put this great event together. I know there were a lot of people who worked hard behind the scenes... thanks. It was a truly magnificent evening, and showed what a great community RIS is. (Parent’s thank you for the RIS team effort in putting the charity event together for the Rashid Pediatric Centre)." "
""I have a daughter at RIS. It's a lovely school, not too big, not too small, just the right size for my child. The academics have a little more rigour than elsewhere which actually suits our daughter fine. The school has a good range of extra curricular activities. More importantly the teachers are qualified and committed and the management is competent and accessible. I would recommend speaking to the head teacher. You will find many parents who send their kids to RIS and who are very happy. To summarise, do your homework, visit the school, speak to teachers, the heads and the parents. Also speak to the children. These are the true spokespersons of a school. (Online recommendation on expatmums.com)" "
""Enjoyed every minute with my son. Fabulous idea and look forward to the next Movie Night. Thank you FRIS. (Parent’s comment on RIS’ movie night under the stars organised by RIS' parents' association body "FRIS" - Friends of Regent International School)." "
""It's the best in academics. Thanks for a great job." "
""It was the best time of my life." "
""Each school is unique and has its culture and that’s def true of Regent as well. As a teacher whose put a good year at RIS and is looking forward to the next at RIS, I can say what distinguishes RIS is the strong leadership and management of our senior management team and the enthusiasm of teachers. Our staff is committed and having achieved a “good” rating from the recent inspections is all charged up to better it next year. 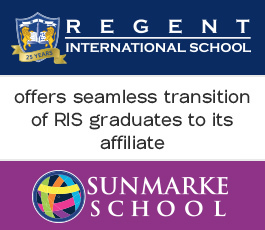 RIS also has a really diverse student and parent body that is markedly cohesive compared to other intl schools in Dubai. I’ve been given many opportunities to further develop my career as well as enhance my compensation, and the school makes a genuine effort to take care of its teachers. Being a long way from home, that makes a huge difference. As quoted in edarabia.com" "
""The capacity to share knowledge and exchange diverse points of view falls into the category of the cognitive heritage of humanity. As an anthropologist of sound and music teacher I hold the view that the hard - though creative - work done within your school nurtures this capacity. (Music teacher from "Sounds Without Frontiers")" "
""Regent School got a “Good with Outstanding Features” rating from KHDA. Great!! As a proud parent, the school has made wonderful strides and ranks there amongst the best British schools in Dubai. A wonderful all round education, great teachers, staff and heads, and a wonderful student body. What more can a parent ask for. Students are very well behaved, all the school’s staff are extremely polite (a welcome change from some of the other schools out there). Way to go RIS! As quoted in edarabia.com" "
""My son started at Regent International School in Year 3 and is now in year 6. The school has improved considerably over the years and I can confidently state is probably one of the better British National Curriculum schools in Dubai. As a parent, I am very happy with my son’s progress and how he is developing. The school’s strengths are its delivery of the curriculum – a good mix of academic rigour and holistic development, the extracurricular activities, a very responsive and professional team of heads and teachers, and a multicultural and welcoming atmosphere. The school’s negatives are its smaller campus and a secondary dept that does not go to Year 12 as yet, although the school is growing and steadily adding classes. All in all, can confidently recommend RIS to parents. As quoted in edarabia.com" "
""Rarely come across a school that informs parents of their child’s behaviour on a daily basis. 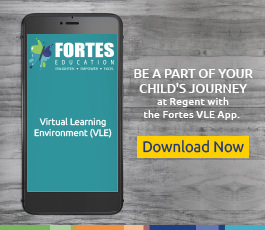 Regent school does just this….through sthing called a Virtual Learning Environment. It’s their online app that lets parents know not only how their child is behaving in class real time, but also how he is doing academically. My children get and submit their homework online, and we can view their curriculum and what they are learning. There are homework resources and the entire library is online. Pretty cool stuff. Net net we as parents have become more engaged in our children’s education and constructively support them. Kudos RIS! Keep up the good work! (As quoted in edarabia.com)" "
""I think this school is amazing. I don't want to shift at all." "
""I am M. Bensoud's mum (Year 3 D) and I would like to thank all the people who organised the trip to Atlantis. My daughter told me it was the best trip ever!! Special thanks to Ms. Hawke, Mr. Owens and Ms. Adams." "
""This is the best school ever. It's school, but fun. I don't want to move to any other school!" "
""My daughter is really happy and so am I. Thanks!" "
""A hearty congratulations on a delightful and very professional Year 6 show last night. It was so entertaining and great to see all the talent of our children celebrated in such an interesting way. The children (and particularly Wonchol) were beaming and proud. So much effort was put into it by the students, Ms. Walmsley, Yr 6 teachers and of course Ms. Lake and her music department. Thank you so much." "
""Having a good teacher can be found in most schools but having a teacher who is outstanding is rare. This year my youngest was blessed by having Miss Mortagh (Year 2B) an outstanding teacher! Miss Mortagh, puts her heart into teaching her class! Every child I know in her class can't wait to start the day, that's how each child should feel about going to school. She plans the day to be so fun that when we pick them from school they won't stop talking about their day. She finds the special spark in each member of her class and makes sure he or she shines. She appreciates her kids thoughts, emotions and their mental capabilities and brings out the best in them. As we always share with you our concerns as parents for the best interest of our kids, it's only fair to send our appreciation and thanks for a teacher giving her utmost for our kids education and well being." "